The longest made shots from the 2013-2014 NBA Regular Season. Long Distance Shots of the 2013-14 NBA Regular Season. Uploaded 9 months ago. Got a request? ... The longest made shots from the 2013-2014 NBA Regular Season. 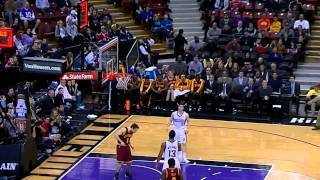 Long Distance Shots of the 2013-14 NBA Regular Season by gearmast3r y/o from US 8 months ago . ... The longest made shots from the 2013-2014 NBA Regular Season.